I had first heard of Micheal Jacobi when I purchased the Kindle edition of his TARANTULAS book from the Animal Planet Pet Care Library. I very much enjoyed this book, and found it to be a very accessible read and an excellent introduction to tarantula keeping. 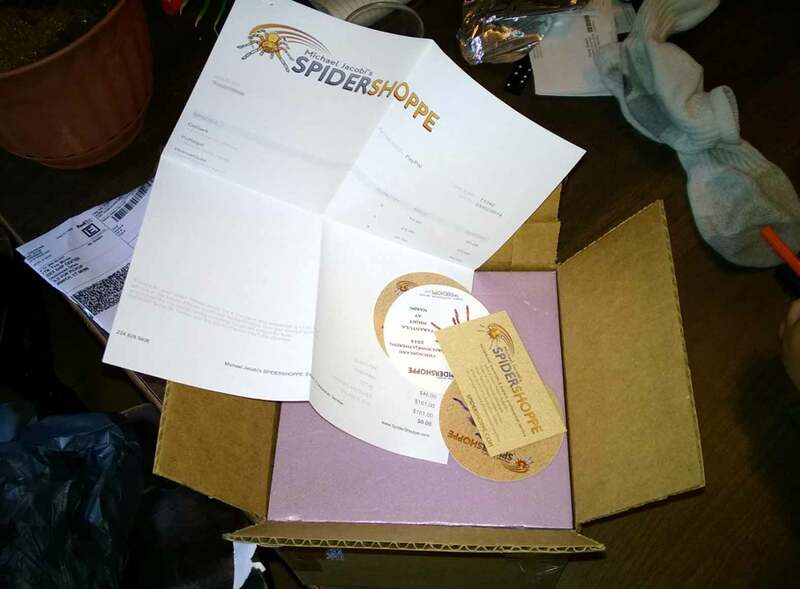 About that same time, I stumbled across an advertisement for his online store, Micheal Jacobi’s Spider Shoppe. I knew that it would only be a matter of time before I placed my first order with him, as he had a very diverse selection in stock, and his prices were quite fair. Well, last week I was given a little extra incentive to do so when Michael announced a three-day blowout sale in preparation for a trip he was taking oversees. To receive the price list, folks needed only to be signed up for his newsletter (or sign up before the sale). I immediately jumped on the site and signed up. Man, am I glad that I did. The list was extensive, and the prices were amazing (and I honestly thought his prices were good already). Unfortunately, the sale started on a Wednesday, and I didn’t get paid until Friday, so I missed out on a couple fantastic deals (I almost bought them anyway, but I didn’t want my wife to kill me). 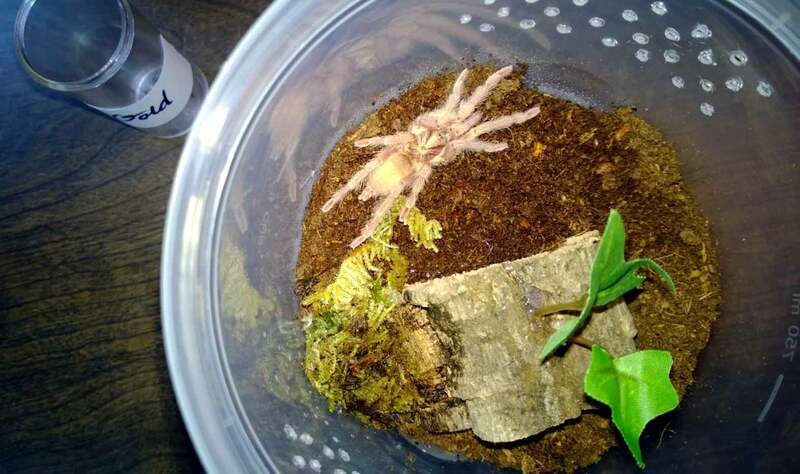 I was able to grab three .5″ C. darlingi slings ($10 each), three 1.5″ H. incei gold juveniles ($20 each), and one 1.5″ P. regalis juvenile ($25). Despite the fact that Mr. Jacobi was obviously fielding dozens of emails and pulling stock, his communication was excellent. When a T I wanted had sold out, he responded immediately with the info so that I had an opportunity to quickly adjust my order. Payment info and shipping info was sent promptly, and although I expected a delay in shipping due to the volume of business he was doing, my package was shipped as soon as I gave the go ahead. He even sent a little FAQ-style email with a lot of useful information and tips. Very cool. Box was well packed and properly labeled to prevent damage. 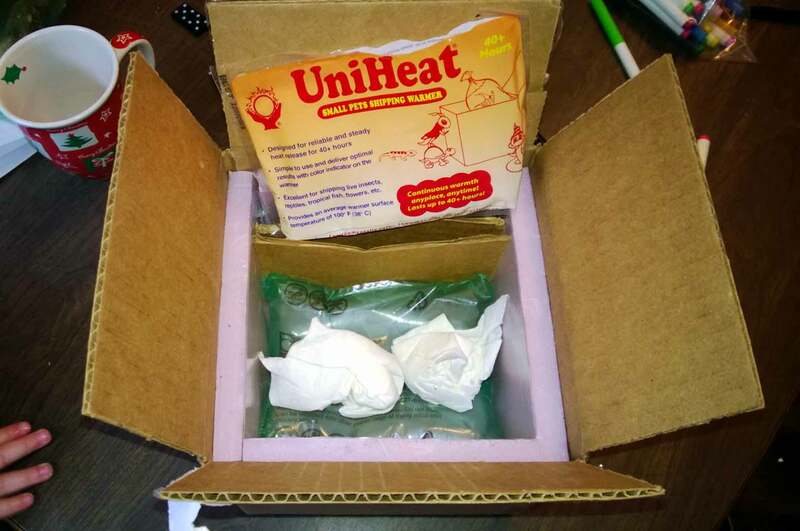 Packing was excellent, with foam insulation, heating pack, and air bag padding inside the box. Individual tarantulas were well-packed in dram bottles and the drams were then taped up in another layer of thick paper towel for added shock protection. The box opened and showing the receipt, a business card, and some very cool stickers. The box opened with the top piece of foam and a couple pieces of padding removed. Spiders are well packed in dram bottles surrounded by a layer of thick paper towel. The tarantulas themselves were lively and in excellent health. Even cooler, every one I ordered was much larger than I was expecting. The C. darlingis all measured about an inch, and two of the H. inceis were about 1.75″ with the third a beefy 2+”. And the P. regalis? Well, I haven’t gotten an accurate measurement yet, but this “1.5” inch juvenile is actually over 3″. What a fantastic surprise and a discovery that made this purchase even more of a phenomenal bargain. One of the three H. incei juveniles purchased from Michael Jacobi. Unfortunately, my picture doesn’t really capture the amazing color. Speaking of lively, one of the C. darlingi slings launched itself from container after I removed the piece of paper towel blocking holding it in. To say that the little bugger was fast would be an understatement. Luckily, I always work over either a box or large plastic bin to prevent escapes. After leaping from the dram onto my hand, he actually ran off of my hand and right into his new enclosure. Thanks, buddy! I could not be more pleased with my purchase from Micheal Jacobi’s Spider Shoppe. The prices were amazing, the communication was outstanding, the packing was perfect, and the animals were in great shape. This was an A+ experience, and I would definitely recommend Mr. Jacobi to any enthusiast looking for a professional and trustworthy vendor. A quick note: as Michael will be travelling extensively over the next several months, his online store will not list tarantulas for sale for time being. Those interested in pricing or ordering will want to sign up for his newsletter. 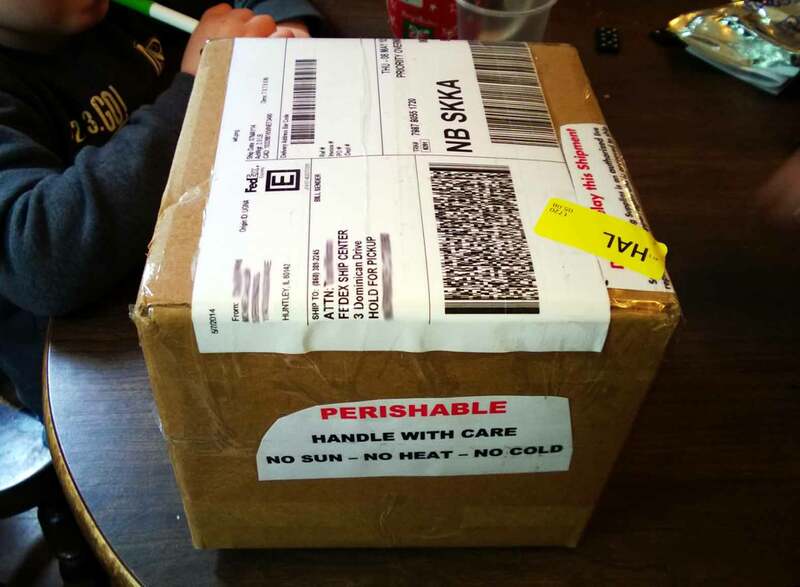 ← Box of Roaches … A Review of Jeremy Stichler!